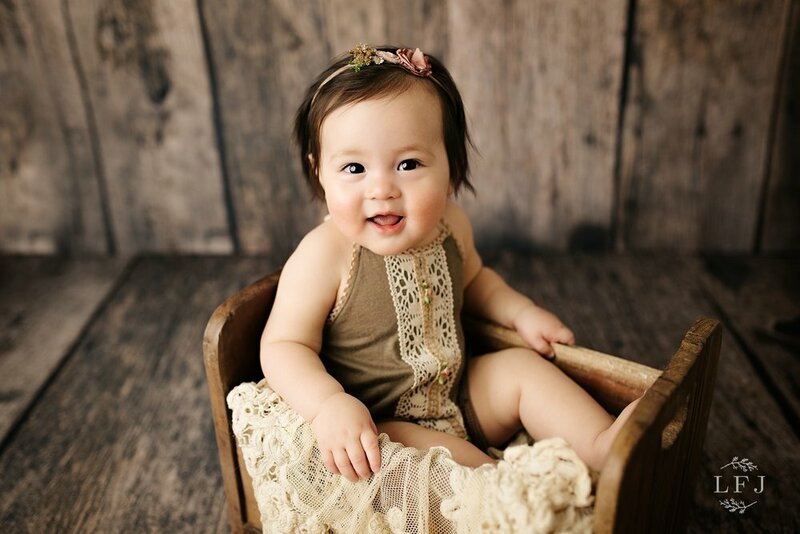 When a baby that I photographed as newborn comes back for their milestone session, I feel so much joy to see them grow! All those new things they do now as babies! As a Wayne NJ Baby Photographer I love seeing babies when they laugh, cry, sit, clap with joy, make funny faces...this is one of the sessions I love the most! When you book a milestone session, I do a session consultation to get to know your baby's personality and the colors that you would love for the session. I typically provide all the props and I have a wide variety of outfits to choose from for your session. I update and keep adding outfits constantly to keep it fresh and new with all my sessions. Penelope was a rockstar! She just loved the camera and she didn't hesitate to show all her cuteness and her funny faces!